Bubbling is a great technique that I recently learned at a Ceramajam workshop put on by Bisque Imports. The process is easy and a lot of fun, so it’s a great project for kids or adults. 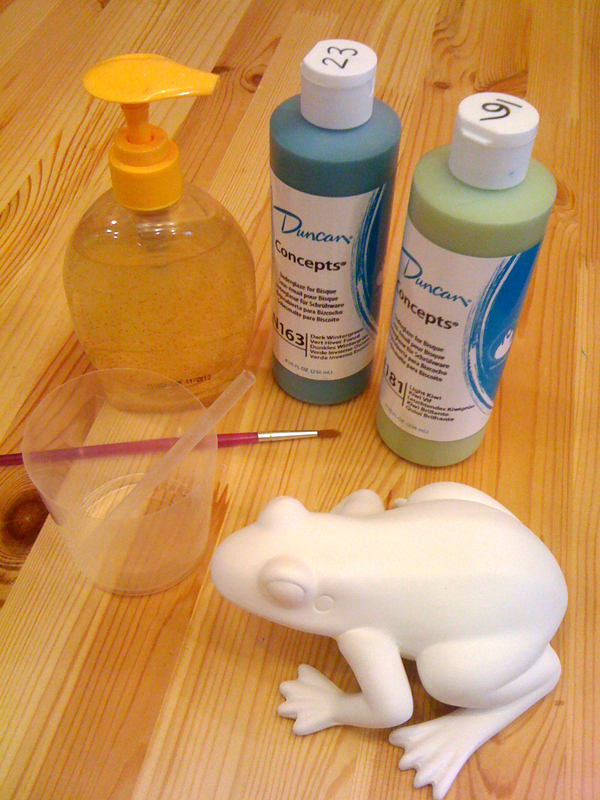 You use a mixture of glaze and soap water and the bubbles carry a glaze residue to the surface of your piece. The end result is a neat bubbly circle pattern that can do a lot to add depth and interest to your work. It really looks like you spent a lot more time than it takes! Scroll down to get started, click the photos to see them bigger in a new window. 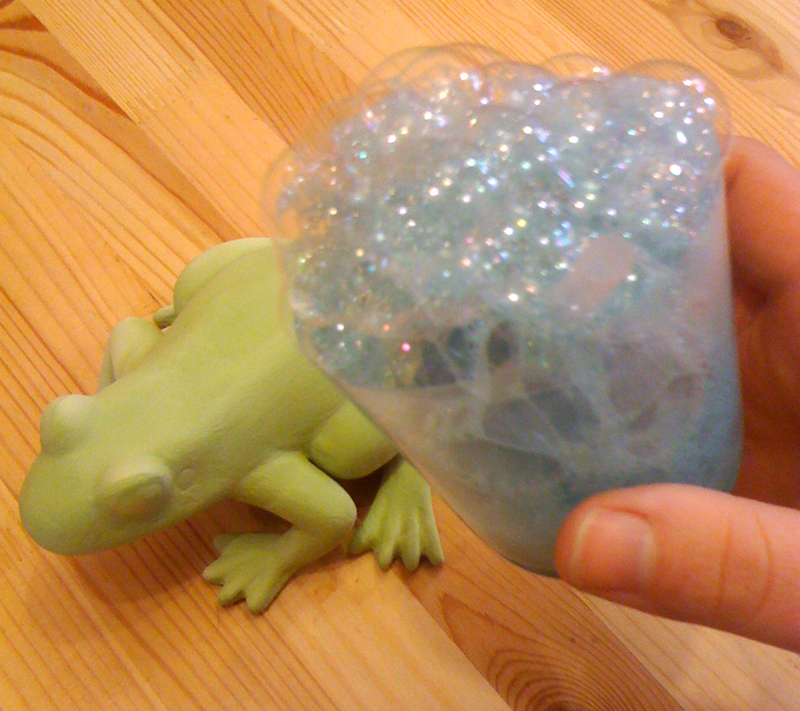 I thought the bubbling pattern would make the perfect texture for a frog, so I chose “Mr. 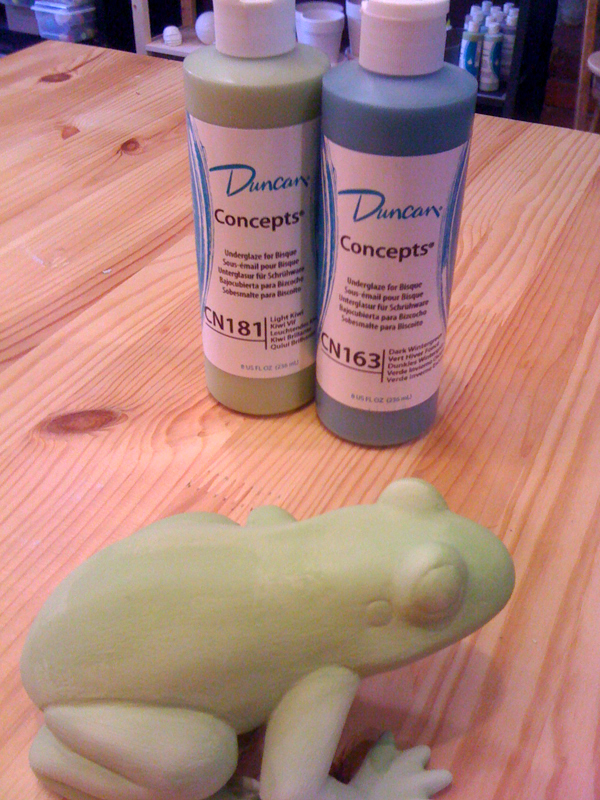 Frog” (Item#: 1508 from Bisque Imports) for this tutorial.First, you want to put a nice even coat or two of your lighter base color on the piece and let that get good and dry. In a small cup, mix a quarter-sized amount of the darker glaze color, dish soap (just a few drops will do it), and a few tablespoons of water with a straw. 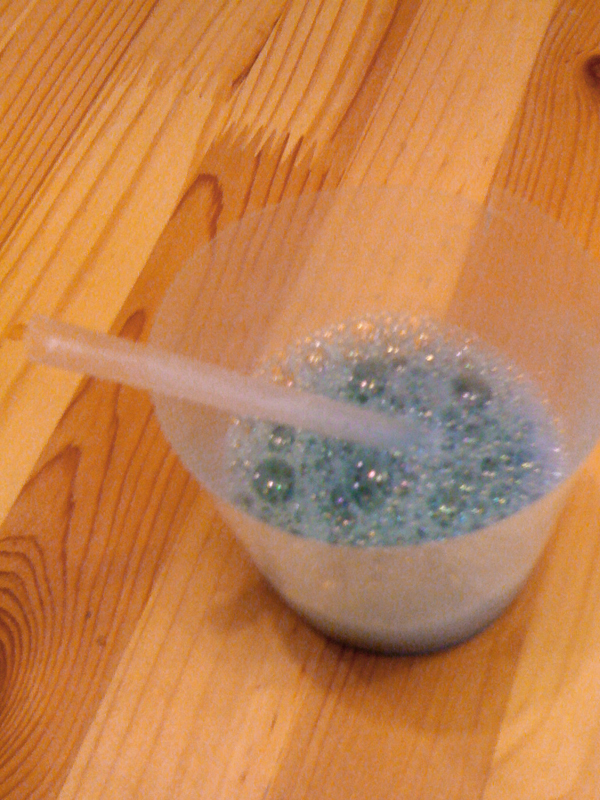 Begin to blow bubbles in the mixture with the straw until they start to fill up the cup and eventually overflow. 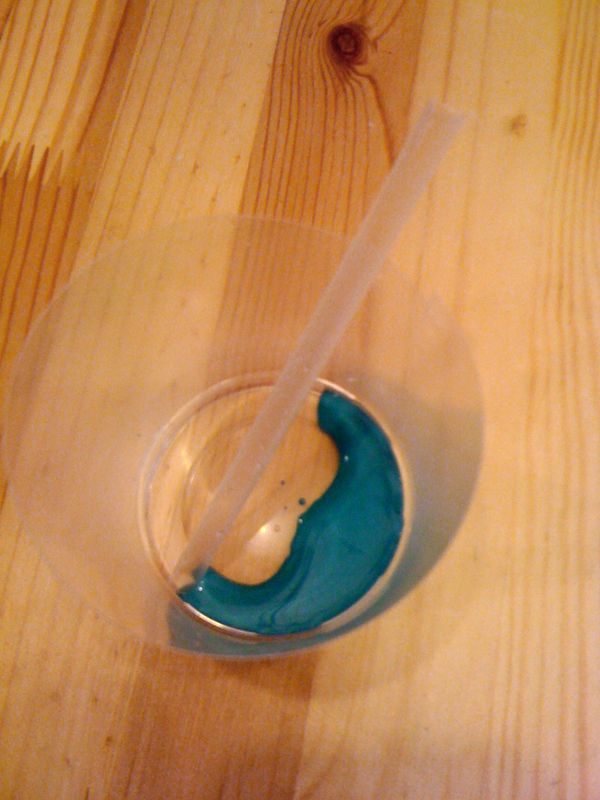 Move your cup around above your piece and let the bubbles spill out and fall into place. For this effect, I wanted to cover the whole piece. Here’s the hardest part: try to wait patiently while your bubbles set and then begin to pop! 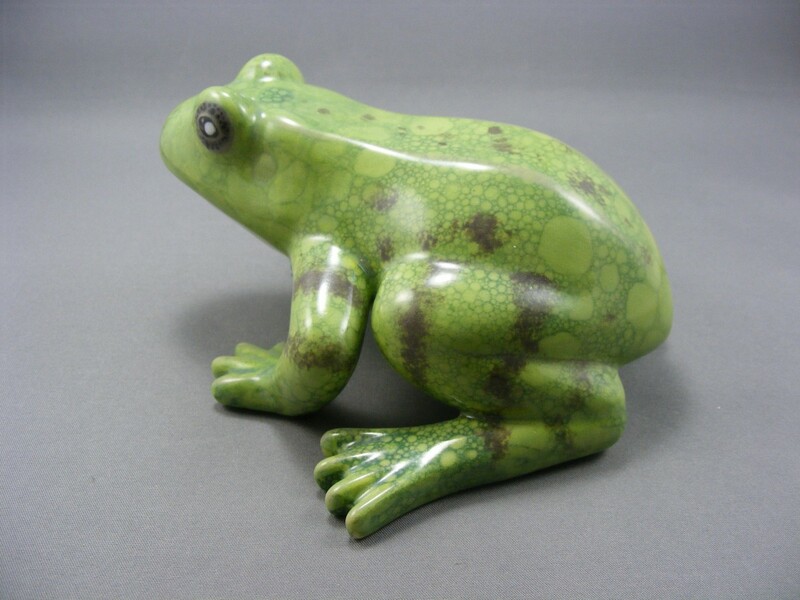 As they do, you’ll see that the glaze residue in each bubble leaves its mark on the surface of your piece. 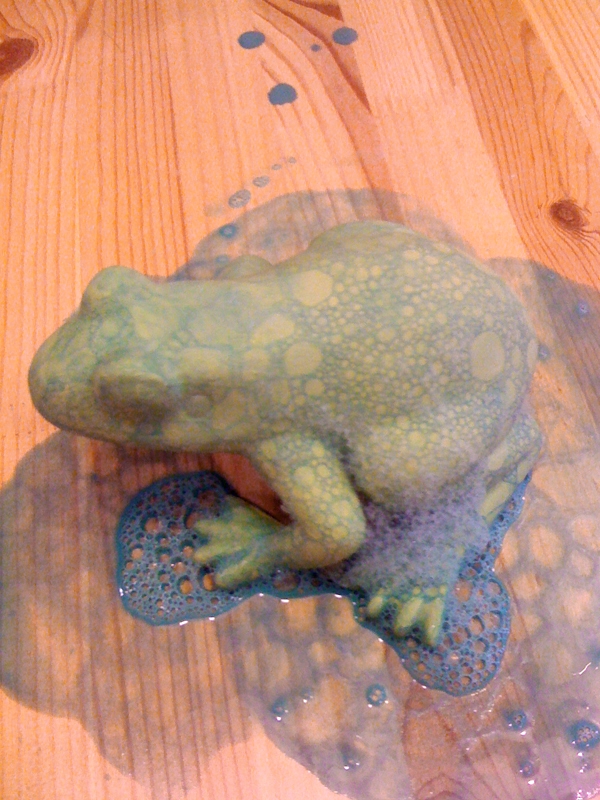 Once all or most of the bubbles have popped, you can dust off any remaining dried soap foam, and clean up your work surface. 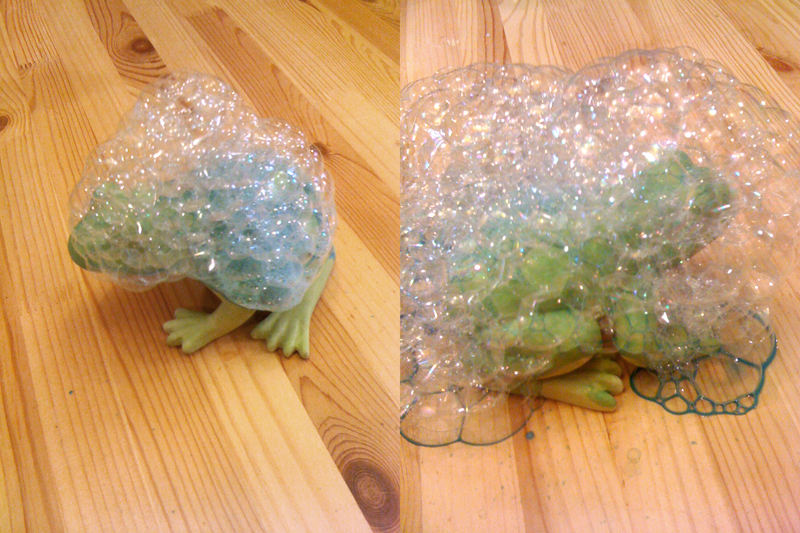 Woo-Hoo: Awesome Bubbled Frog! 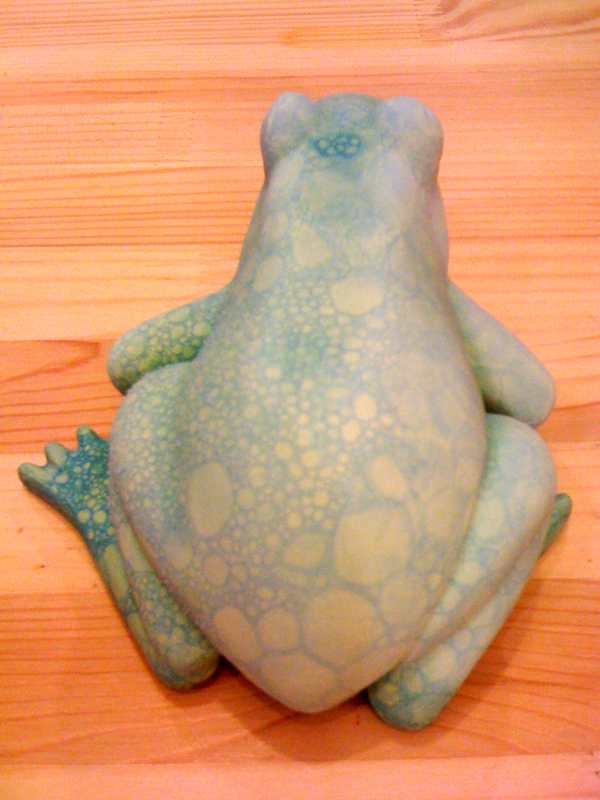 The bubbling left a great pattern, which would be pretty darn cool on its own, but I wanted to give Mr. Frog some additional details and colors for contrast. I used (Duncan Concepts) Black, White, Dark Taupe, and Bright Olive to detail the eye of the frog, and to add on some highlight stripes and spots to his skin. 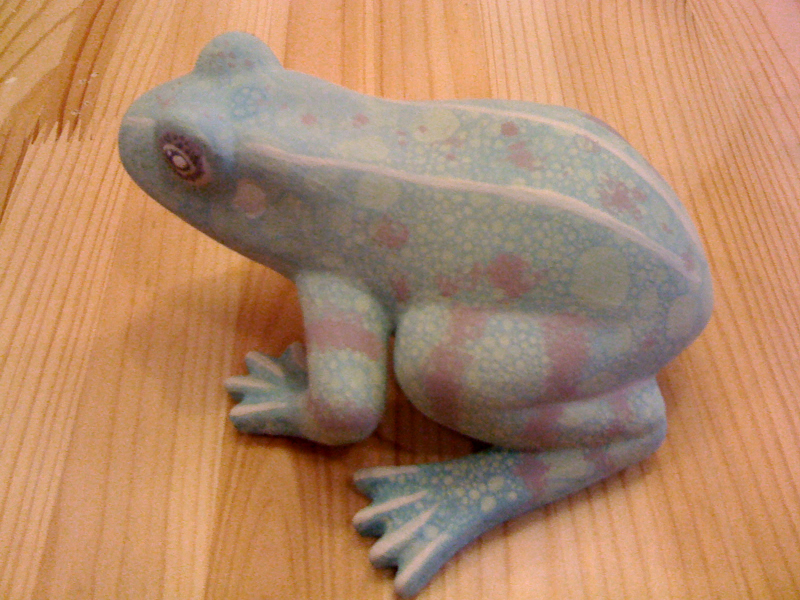 Here he is ready to be overglazed and fired in our kiln! 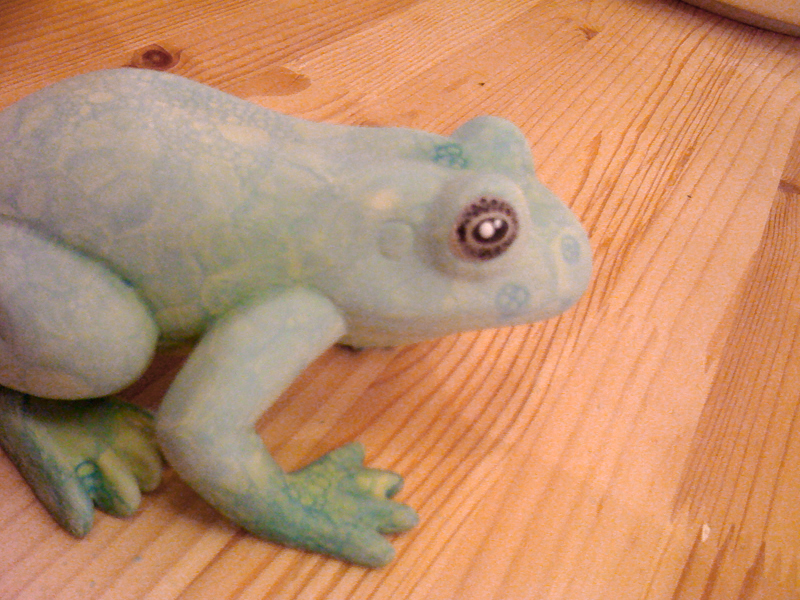 And here’s our finished frog. We think he came out pretty great. Looking forward to trying this technique on some other projects. We hope you will to! great idea, keep them coming.